Packages: Alliance Security offers many different options so you can have the security system that works best for you and your situation. They offer seven different packages. With any package you purchase, there is a firefighter smoke monitoring device that comes with it. There is a “special alert” sensor in every package (with no increase in your monitoring rate). You will have a licensed technician come to install your alarm system at a specific time that meets your needs. They will arrive within just one hour of your scheduled installation window (if they are just one minute late, you will receive a free month of monitoring). Connectivity: The mobile access is extremely convenient. There is a reliable and fast wireless connection. 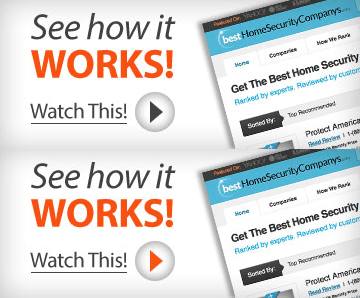 You can keep control of your home by simply checking your mobile device. You can receive practical notifications by text or email if something triggers sensors. Installation: There is no DIY installation option through Alliance security and installation costs increase for those who want more advanced home automation packages. This will increase the overall upfront costs for customers. Our Recommendation: Even with a number of packages to choose from, there are still installation and transparency issues customers should be concerned about. For those reasons, we recommend looking into Protect America and Frontpoint. Stay away from this company. I realized after only one day that I had made a mistake. So the first business day I called and cancelled the service. In my state you have a three day period to cancel a contract. And I stopped payments they could have charged. That was 30.00 but to get rid of this service I didn’t regret the fee. PLEASE do not get this service from Alliance Security. 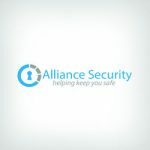 Be very aware when you apply for this service that Alliance Security only installs your service they are not responsible for your monitoring or actual account. I just received a letter in the mail from Brinks home security billing me for service i didnt even know I had. On top of all of that its super easy to apply and get the service but to cancell no one can help and they just have you running around to cancell. Today I called Alliance they forwarded me to Brinks and Brinks is forwarding me to Laywer T to cancell my service. This is the biggest joke ever stick to comcast security more expensive but very professional! Although we’re on National and State Do Not Call list this company robocalls 2 to 4 times a week. I called to find out who was making the illegal robocalls and was put on with the most high pressure salesperson I’ve ever encountered. I decided I’d let them waste a trip out here as punishment for their illegal advertising. Big mistake. They have shown up at the house 3 times unannounced. I’ll be greeting them with a shotgun on their next visit; that’s my home security. Read their review’s and avoid this company like the plague. I had a salesman name Peter T., phoned me talking about the security system & being polite calling me by name & was getting other information from me which I had NO ideal he was going to do a credit check on me. Which I NEVER authorized him to do so. I’m very very 😠 angry with Peter T., the salesman; this wasn’t fair to me. So, I’m wanting others to PLEASE be aware of this kind of stuff when people s are talking to you on the phone. This is the worst company ever. Do not purchase from them. The sales dept but on a good talk game. Customer service is poor. They don’t have a technician in my area so they contacted another company. I had a service called appt for this morning. However, I had to call Alliance back to check on the location of technician. The technician had emerency but I was not notified. This is the 2nd time this happened to me. They don’t stand by their products. This is the worst company. They lie and deceive. They don’t reply until the feel they can make you pay a fee. They want you to pay for poor services. My mother bought this service and moved from her condo 10 months later. The company continues to take money directly from her account and they claim she has a contract that cannot be broken. This is a contract she never saw prior to installation, and since asking to cancel the service, they sent her a document that is not even signed. I’m calling AARP tomorrow on these scammers. As a side note, while she had the service, she made repeated calls and was given the run around every time. Received a call soliciting I listen to sell pitch and was all for it was going to have it installed today $43.99 a month. Worst service, worst company ever. Lies out of the gate. Told the billing amount was $50/mo all inclusive for yrs they have been auto-drafting MORE THAN I APPROVED, my bank will not help. Equipment stopped working, they have never returned a single call. They never resolve a single issue. I’ve got broke down useless equipment, they refuse to come service. They also stood in my house and lied to me, staying i wouldn’t need to pay for a city permit for this system, flat out lie. Now the city of Vancouver comes to take their lb of flesh every year. They have never supplied me with the “contract”, I’ve asked on several occasions for a copy by mail. They state we’d owe 3k to cancel said contract. If anyone else is suing, I’d gladly like to be a part of your lawsuit. I’m thinking class action. Any takers? Please do not get a contract with this company. They never sent me the cameras and when they finally did no once came to install them. I had to call 100times and when I finally schedule an appointment no one showed up. I tried to call and they hang up. I have been paying the full service for almost ONE YEAR NOW and until this date they did not install the cameras !!!!! They are the worst !!!!!!!!!! Alliance Security company is an absolute ripoff. They provide terrible customer service and technical support is even worse. Don’t bother leaving messages because they were not to return your calls. Doing the holidays they used the Thanksgiving holiday ends in excuse as to why no service technicians were available to service my outside camera. However they do not hesitate to withdraw the monthly fees ea however they do not hesitate to withdraw the monthly fees early on the due datE. Be on the lookout for contract. And don’tt believe them when they state that their support team have been trying to contact to you on several occasions. Be on the lookout for contract time. I was just informed I’m on the contract to 2023 Mind you I just got service this year. I will be filing a legal complaint against this fraudulent company. Not happy at all been lied to charged more was suppose to give moth free and didn’t so I will be contacting a lawyer about getting away from this company not good don’t do it. Comes off sweet good deal then you get screwed! My mother at the age of 89 decided to have this system installed without my knowledge after one of her friends had passed due to a fall. They just happened to come by at the right time when she was afraid for her well-being. They did the install but did not install equipment on all exterior doors and told her they would have to return to complete the install. This never happened and she never saw them or heard from them again except for their $49.99 monthly charge from her account. The charge is for equipment that has yet to be installed!!!! I have contacted them both by phone and email and they have charged her twice since that time. They have some ridiculous 6 year contract and I was told that due to her age they could have offered her a shorter contract. Go figure! Taking advantage of the elderly is not attractive at all! They try to make you pay at time if installation for the first month by asking you to have a check ready to give to installer! Then they want to draft from your account there after. Do not do it! Stop the conversation and do not continue. They will kick you out of the phone call and when you redial the phone number they called you from is not in service any longer. BE VERY CAREFUL! They are being sued. Yes ALLIANCE SECURITY! Do not trust them..